Get cozy on this two cushion sofa from Alex. 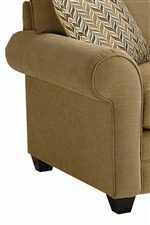 Perfect in any living room, family room or den, you can watch a movie, read a book or chat with others while sitting on the boxed seat cushions and leaning into the bed-pillow back. 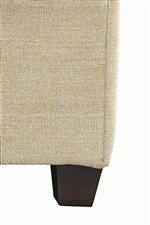 Featuring stylish rolled arms and exposed wood wedge legs, this sofa is fashionable in any seating area. 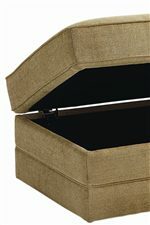 The Alex Sofa with Exposed Wood Wedge Legs by Bassett at AHFA in the area. Product availability may vary. Contact us for the most current availability on this product.